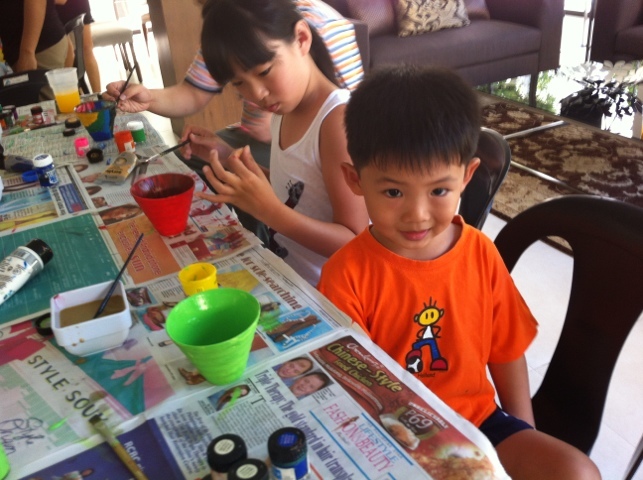 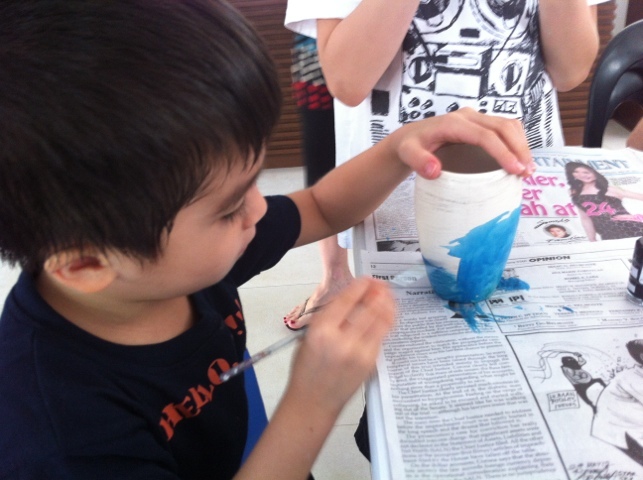 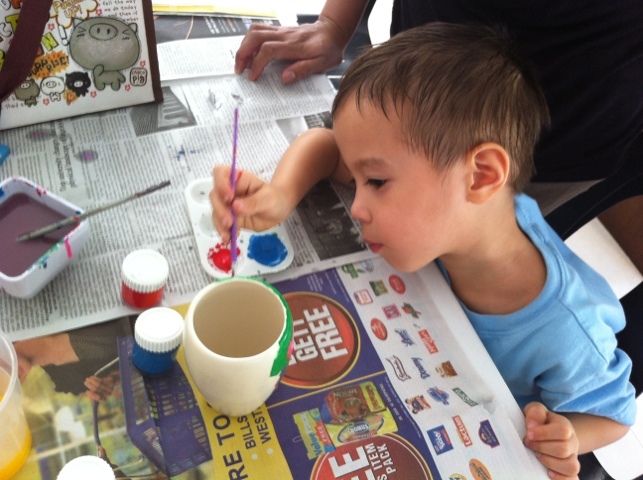 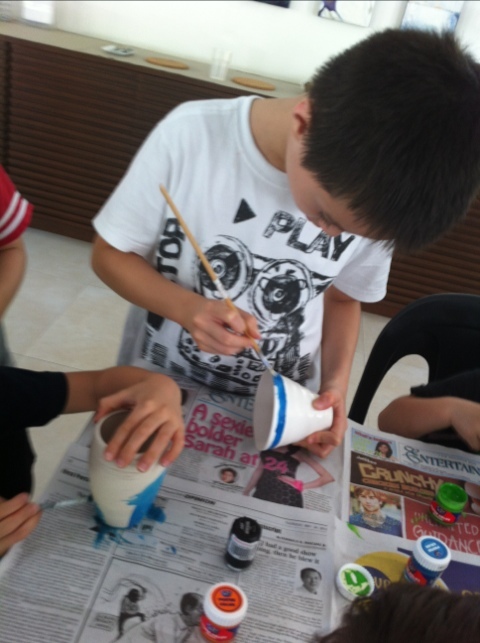 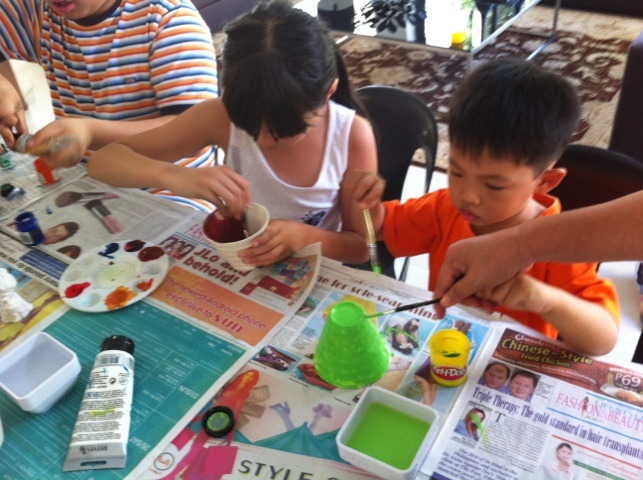 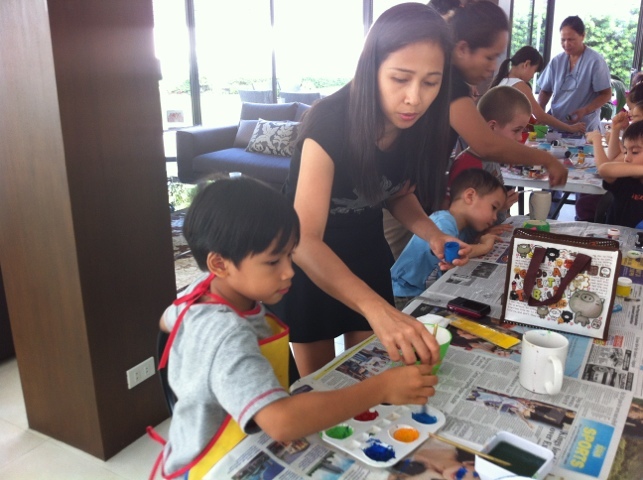 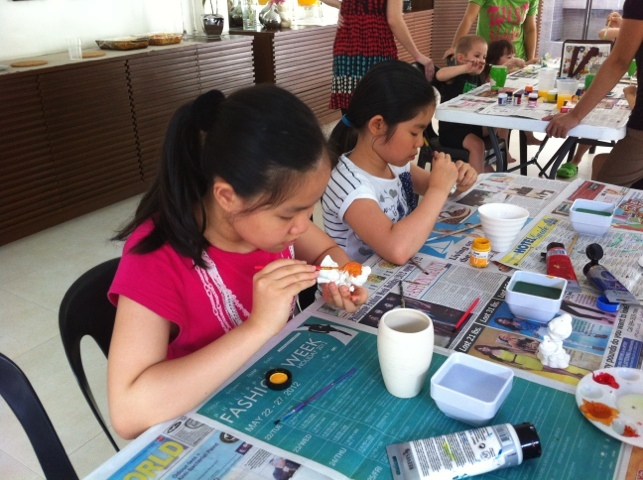 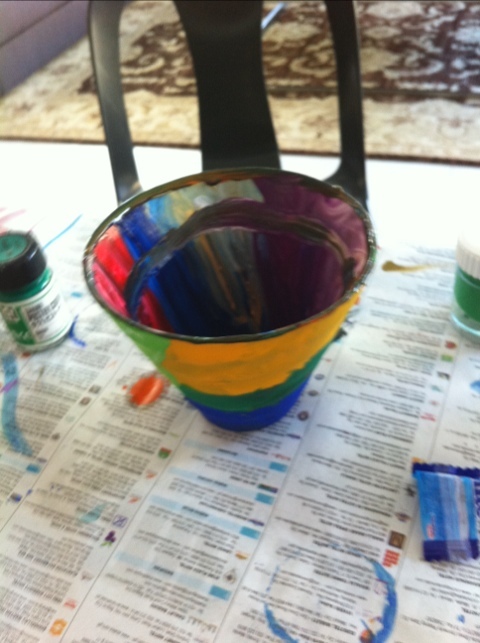 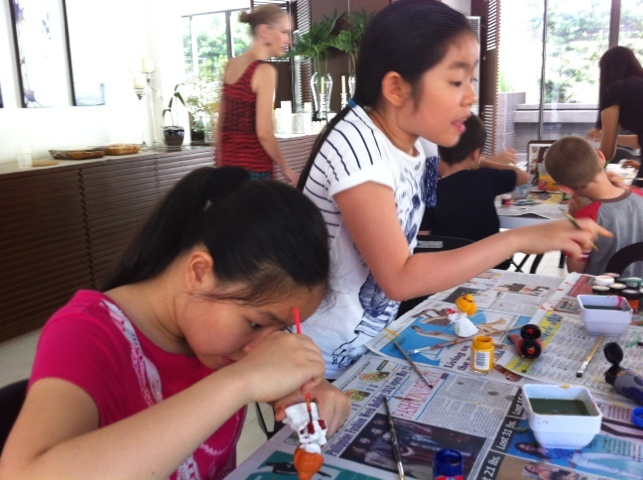 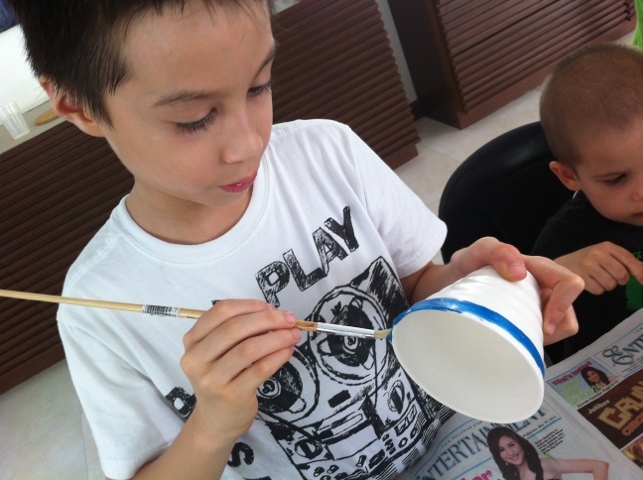 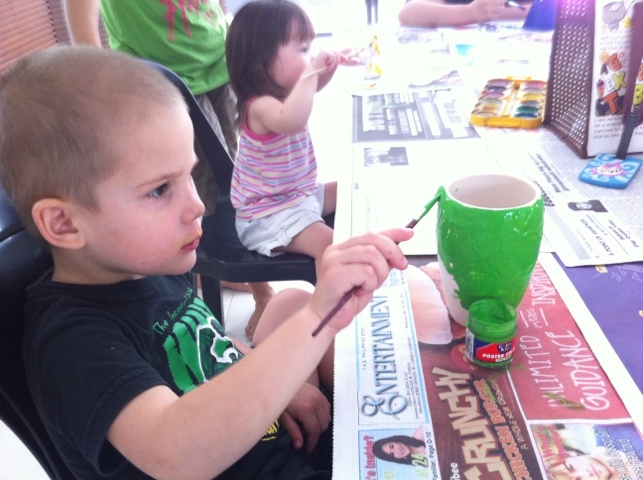 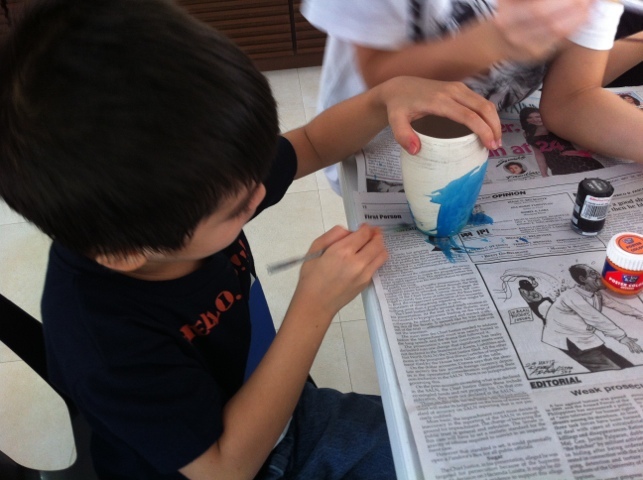 I just love how homeschool kids can do fun things like paint ceramics as a multi-level group. 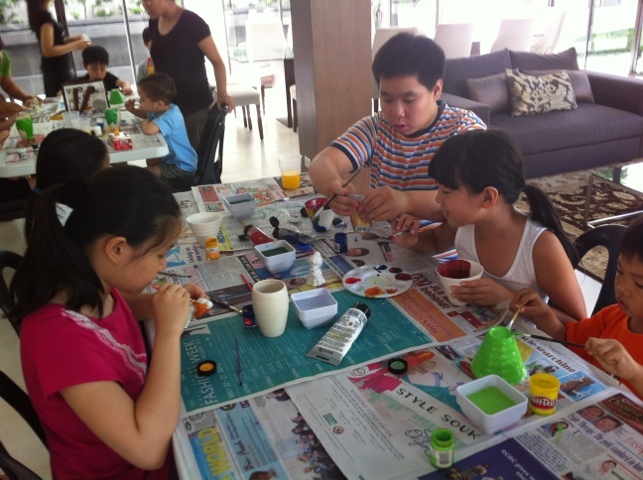 The kids and I were invited by my sister-in-law, Jenny, to her home this afternoon. 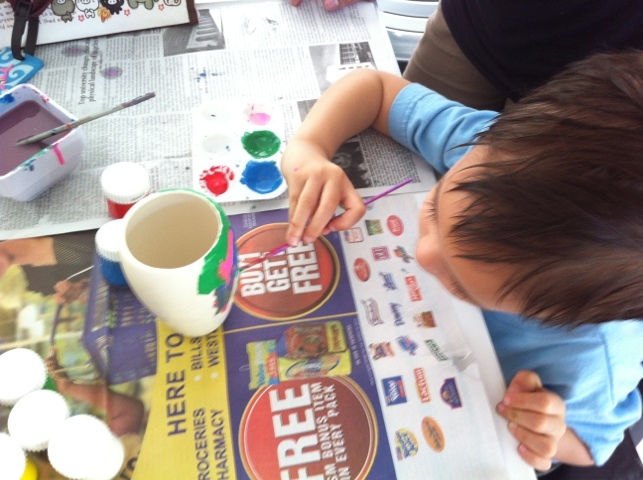 We joined in on the art time. 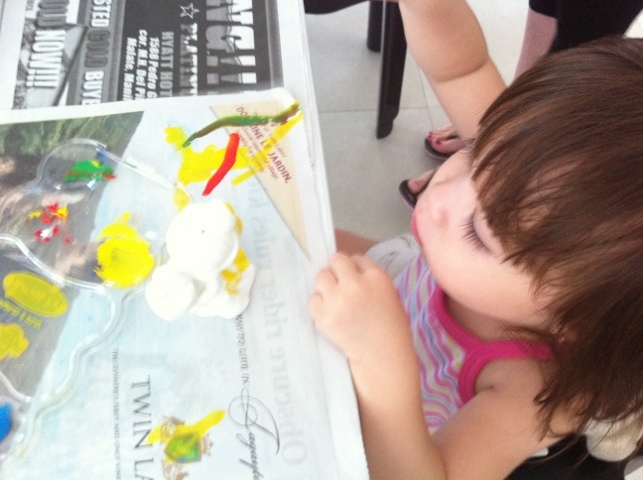 Even my one year old Tiana babes had a blast. 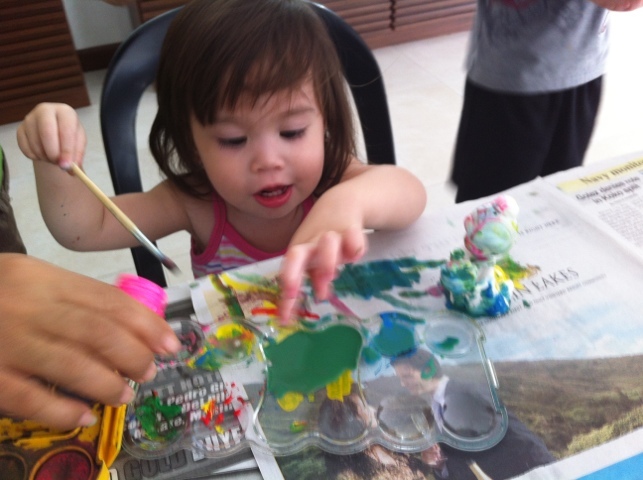 Her little ceramic figurine looked like it had been dipped in blue and purple mud but she didn’t care. 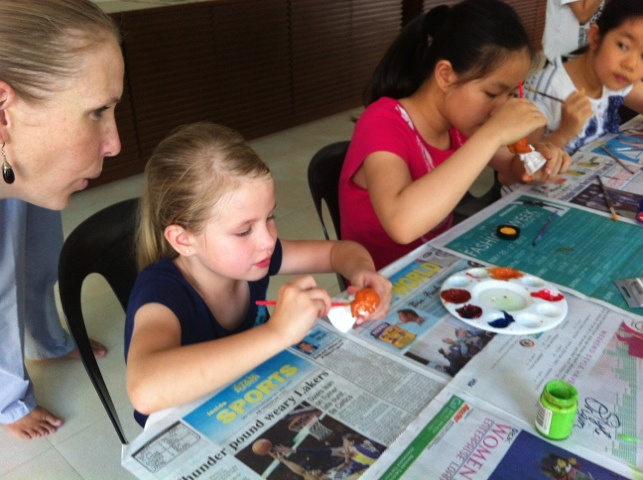 She was just thrilled to be joining the older homeschoolers in the group.